Happy New Year everybody! Guess it&apos;s time to shake off the holidays and get back to work! And since it is a NEW month, we have some NEW info to share with you! 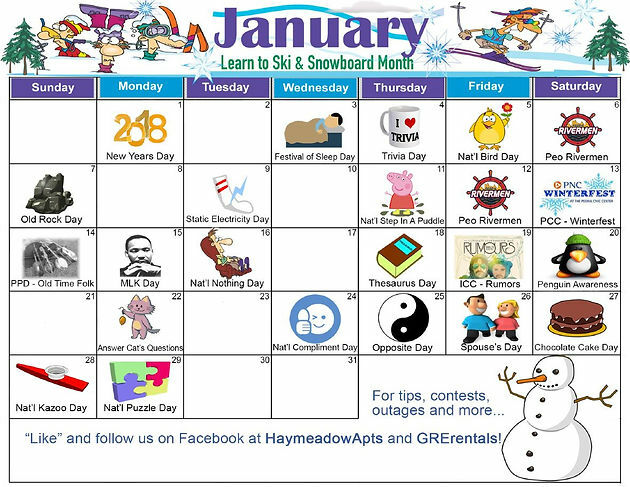 Just published, our January Haymeadow Calendar of Events and our January edition of Living Wise! On this month&apos;s calendar, lots of things to do in the Peoria area including Rivermen Hockey, Park District events, and more! Of course, we still have the off-beat holidays too (like Nat&apos;l Nothing Day)! Make sure you visit and bookmark our online Calendar of Events and stay up to date on January holidays and events! Also for January and hot off the presses, the January edition of Living Wise! 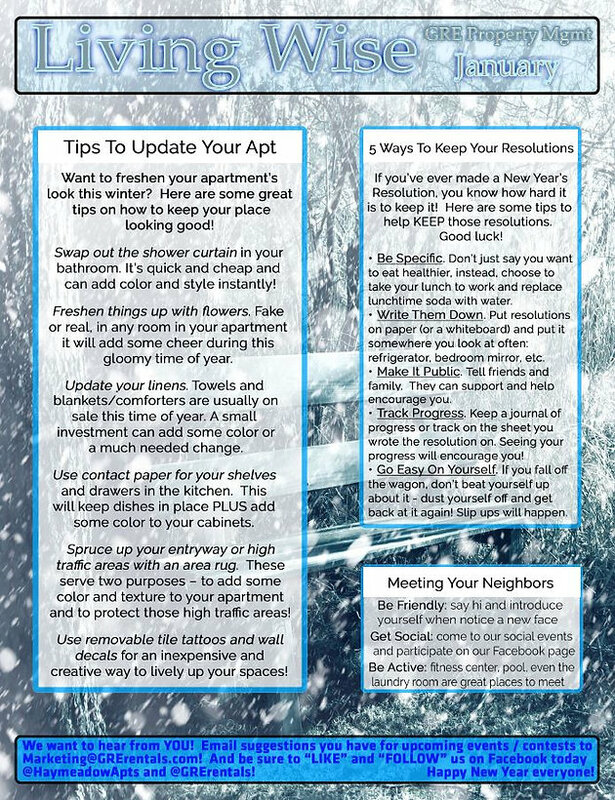 In this months edition, we got some tip on how to freshen your apartment&apos;s look, we share some tips on how to keep those New Year&apos;s Resolutions, and we discuss how to meet your neighbors! It&apos;s a new month and a new year! Make the most of it, and as always, thank you for reading and sharing!